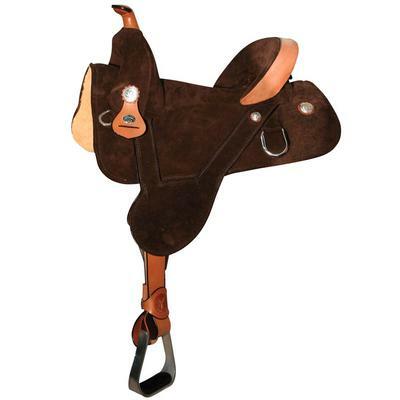 Presenting the Lisa Lockhart Contender Barrel Saddle by Circle Y. 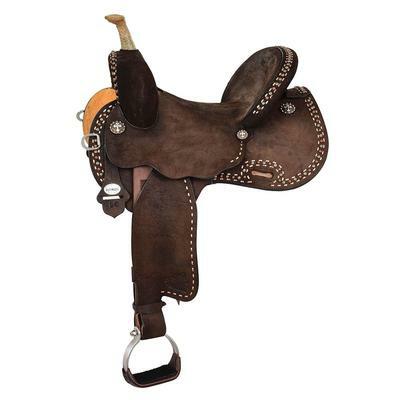 Rich, Spider-stamped Mahogany leather skirt, cantle and swell feature eye-catching antique brass conchos and brass spot trim around the skirts, cantle and horn. The deep, 14.5" seat in chocolate faux elephant-print further adds to the overall vintage look. 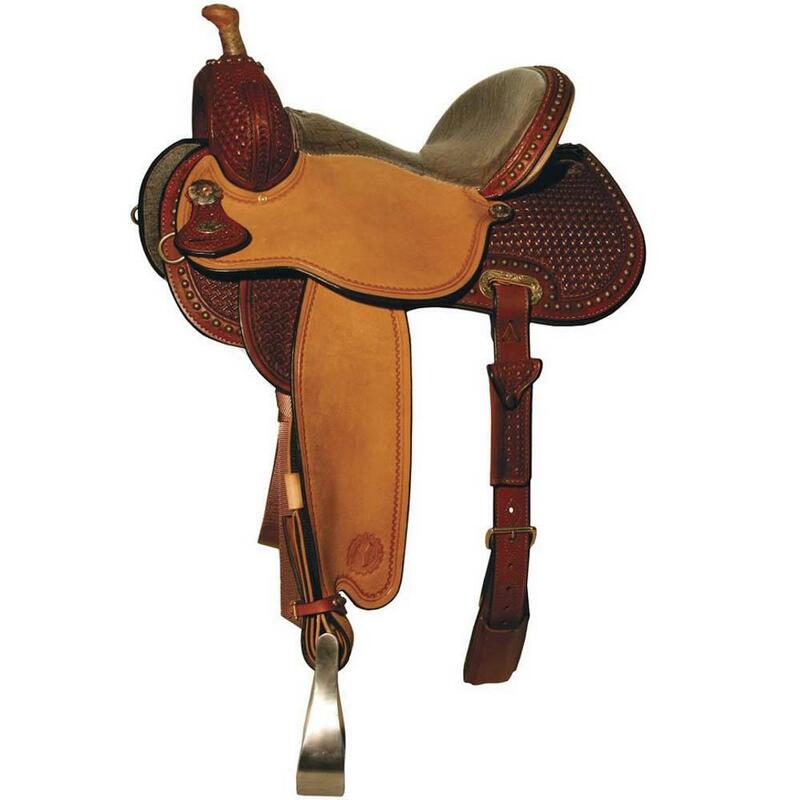 Rough-out seat jockeys and pre-shaped fenders with cutout skirt allow for close contact and assist in cueing precision and feel. 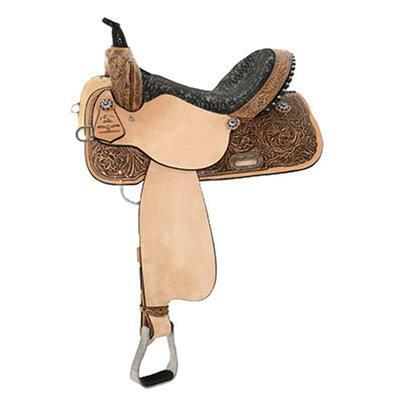 Grip-Rite skirt liner helps keep your saddle in place. Aluminum stirrups with rubber grip treads. Wide tree fits most foundation-type horses. Rough-out seat jockeys and fenders. 14.5" seat in faux-elephant print. 3" rawhide wrapped horn, 1 3/4" cap. Aluminum stirrups with rubber tread. 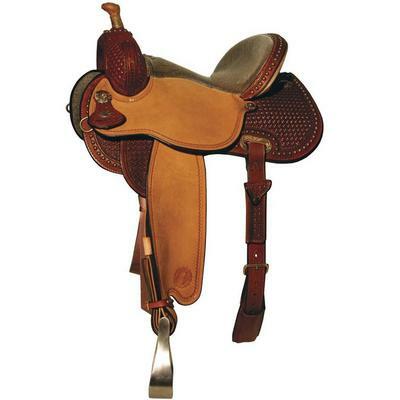 Brass Conchos and Spots trim.